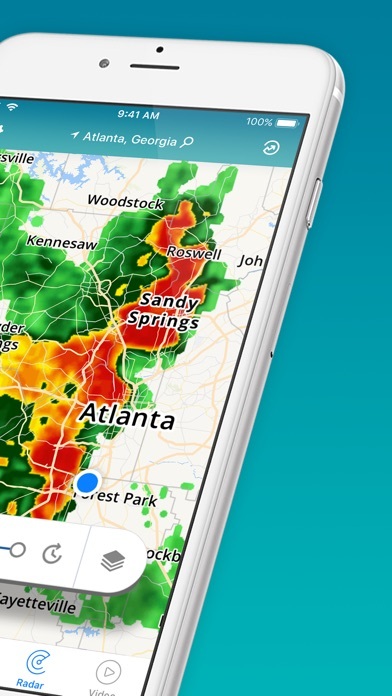 Get your local forecast on your phone or iPad with The Weather Channel and prepare for each day with reports and maps. 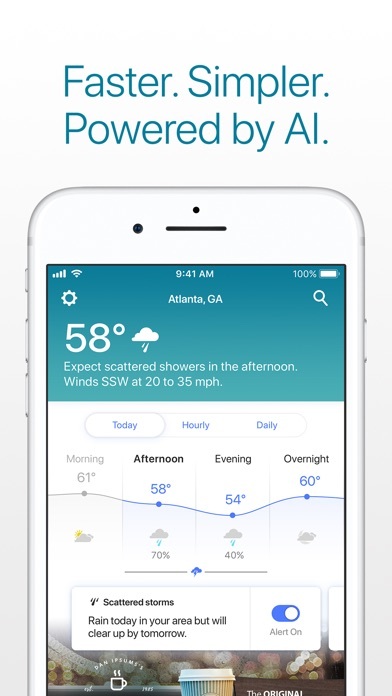 Find all the weather information you need to plan daily life with confidence. 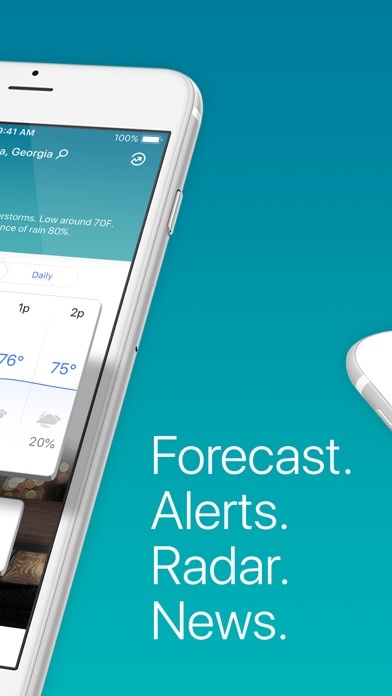 The Weather Channel provides accurate weather forecast reports that can help you plan up to 15 days in advance - wherever you are! 1. Plan your day up to two weeks in advance with hourly & daily forecasts. 2. 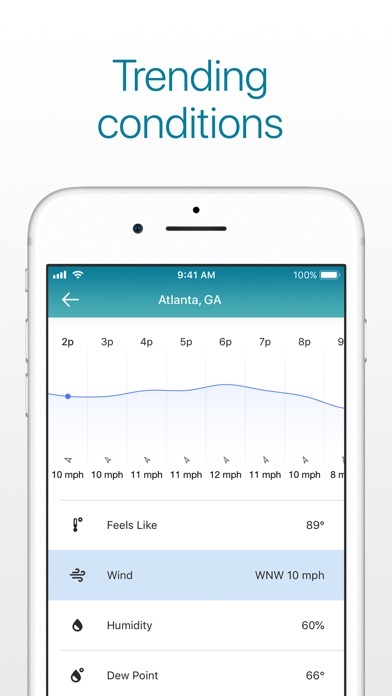 Get your current conditions at a glance with weather data that’s relevant where you are. 3. 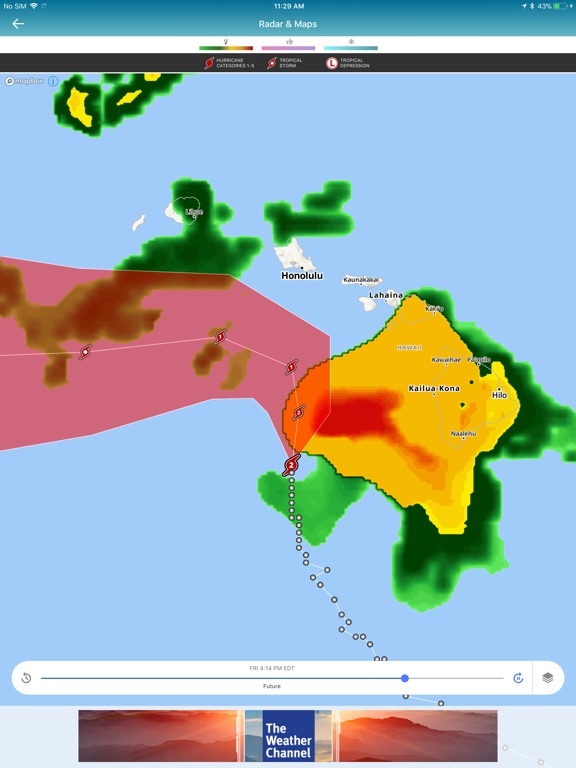 Stay safe with severe storm alerts and safety tips from the National Weather Service. Plan outdoor activities with confidence. • Planning an adventure? 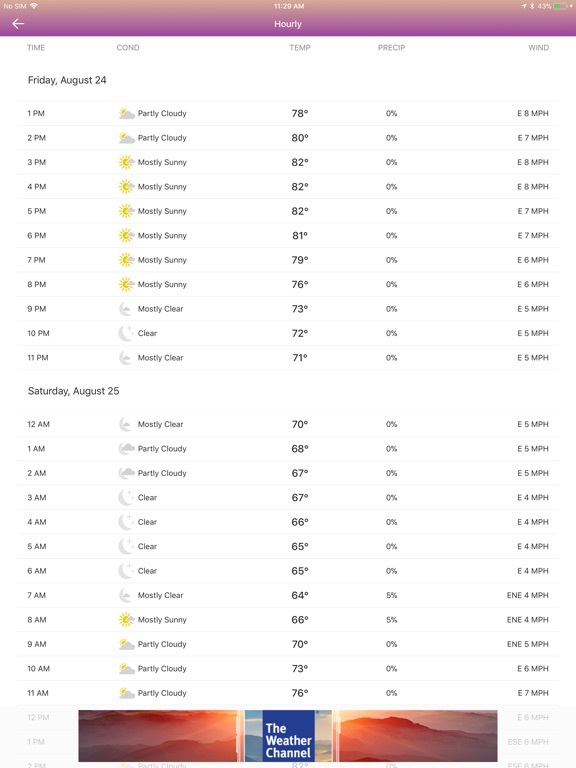 Check the forecast so you don’t get caught in the rain. • Want to catch that romantic sunset or a enjoy a crisp walk in the park? Get detailed information on sunset times, cold and flu reports and much more. • Run smart with GoRun! Find the best possible running conditions and plan your perfect route. 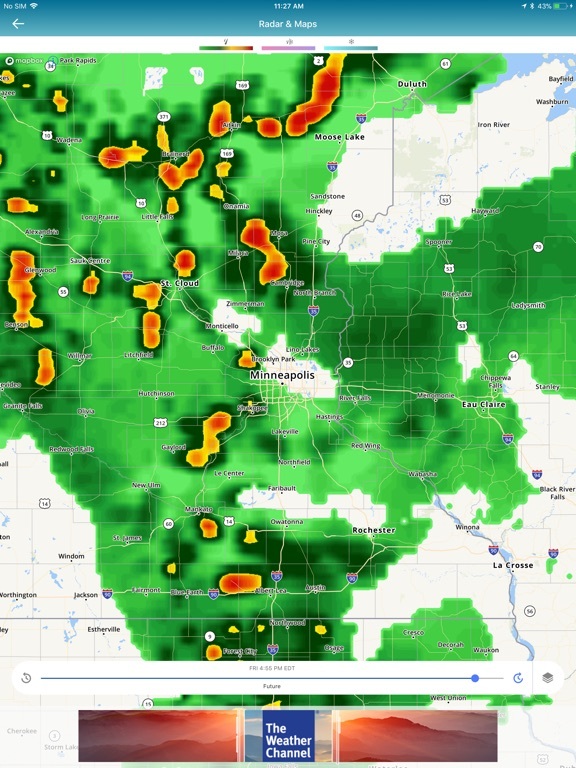 Keep informed on the latest weather news. • Stay safe during extreme weather events. 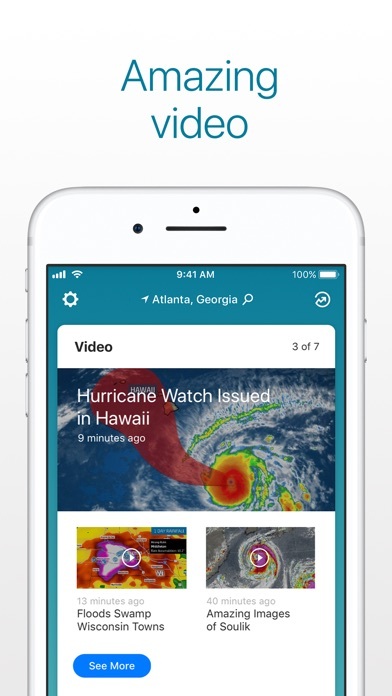 From flash floods to storms, we’ll send you live alerts and expert safety advice, so you’ll always be prepared. • Concerned about allergies? Get high-risk allergy alerts and medical advice to help you beat them! 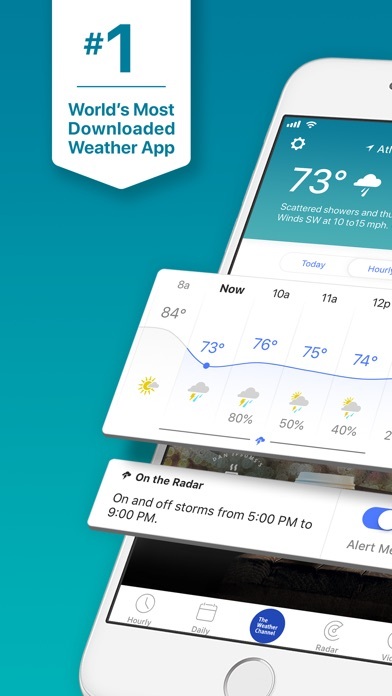 Easily access all of the weather information you need. 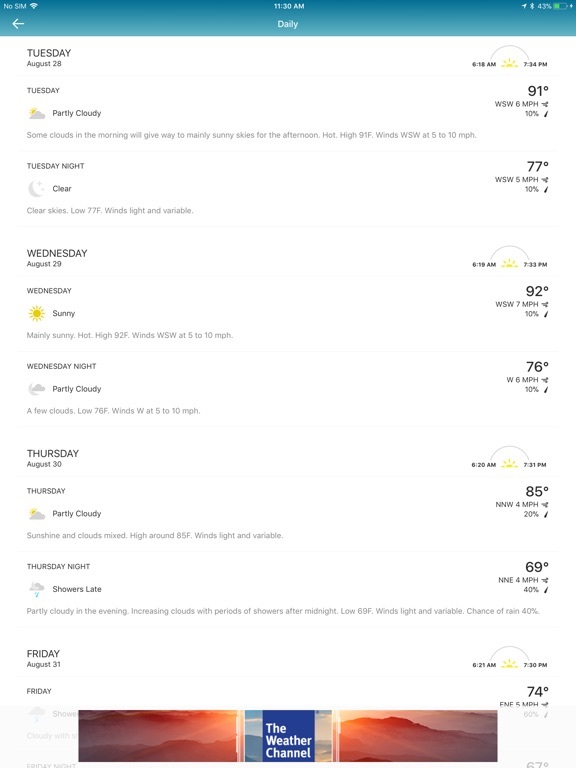 • Quickly find all the weather data you care about in one place: your smart home screen! 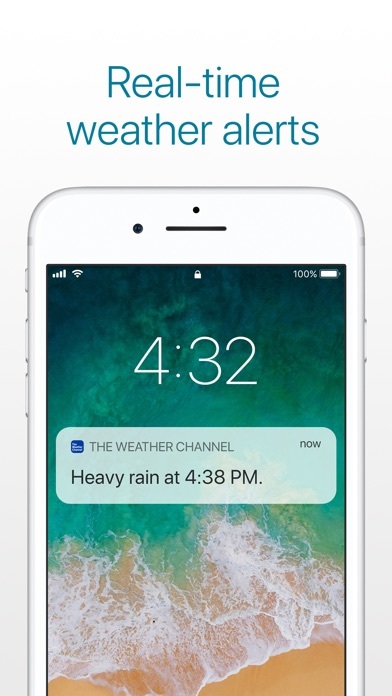 • Get precise weather updates, severe weather alerts and more of your favorite features right from your Apple Watch. 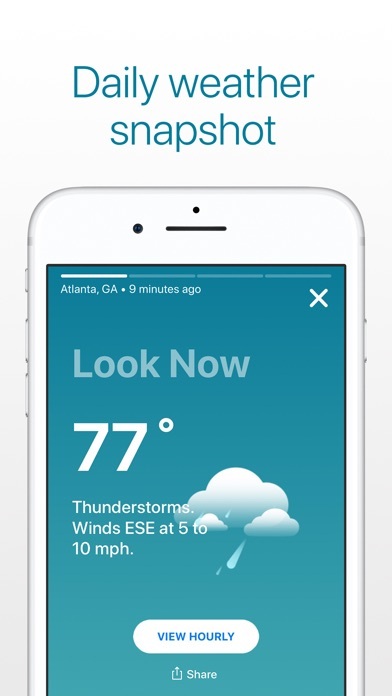 • Remove all ads from your weather app for a year with a $3.99 single payment in-app purchase. 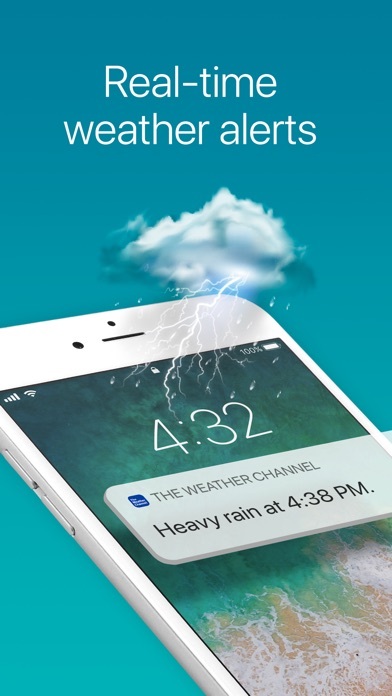 • If you have any questions or suggestions about our weather service, please do not hesitate to get in touch at iphonesupport@weather.com. 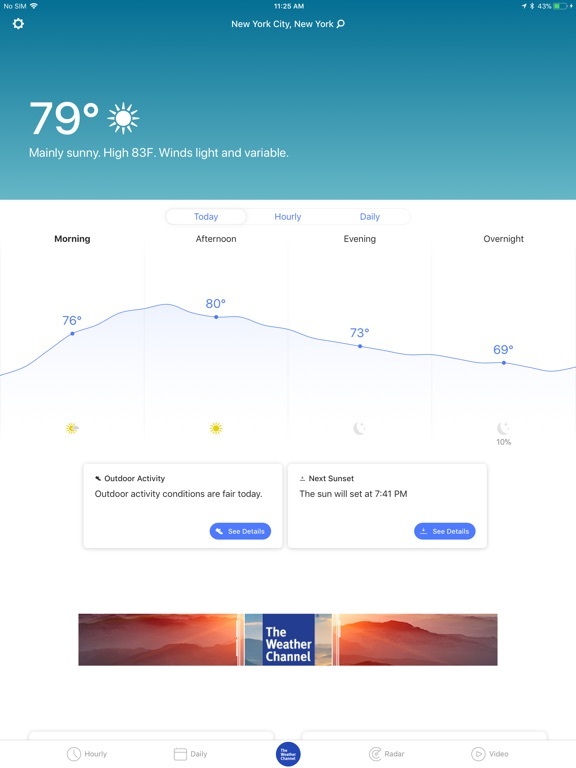 The Weather Channel’s fully reimagined and beautifully designed app has been carefully crafted with you in mind. 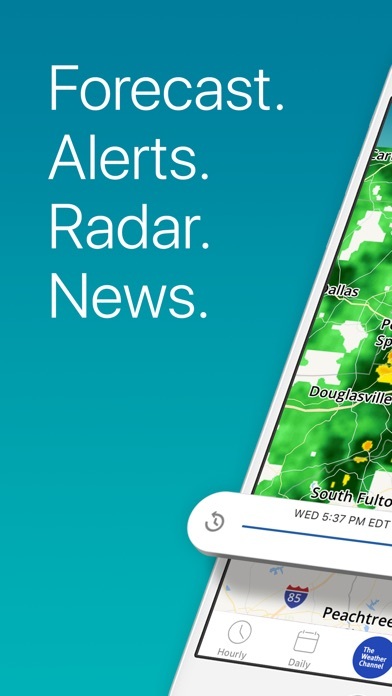 We are actively reading your feedback and regularly updating the app experience to help you see weather like never before. Please email us at iphonesupport@weather.com with any suggestions or questions.